We are located just one-quarter mile from the airport entrance. The hotel is less than a 10-minute drive from Downtown Des Moines and a short drive to all of the citys attractions and commercial centers. 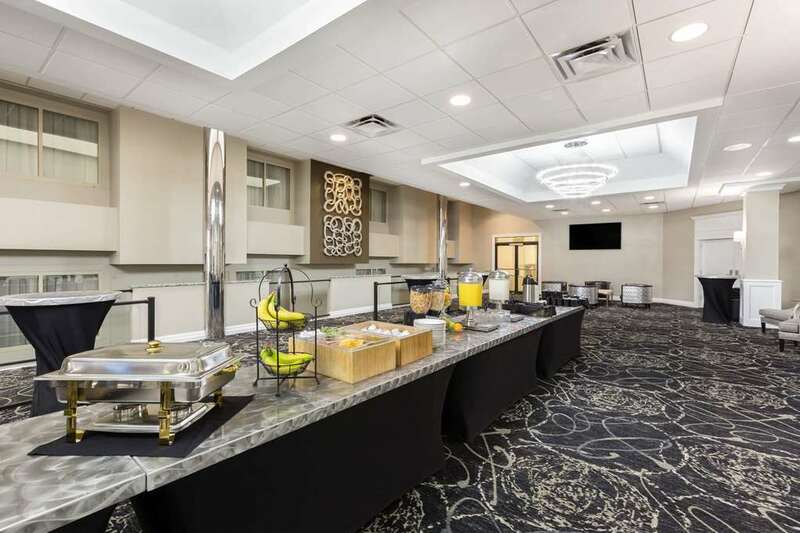 The hotel features a free complimentary hot breakfast, conference facilities for up to 350 people, an indoor pool and exercise facility, a complimentary business center, on-site restaurant Big Al's BBQ and a guest laundry. The Ramada Inn offers free-to-guest airport shuttle service and to any location within a five-mile radius. We have many suites and connection rooms which makes traveling with family or other groups both convenient and affordable.